Jaa ich habe ein neues Hobby und nun geht es sofort auch schon mit Vollgas los. 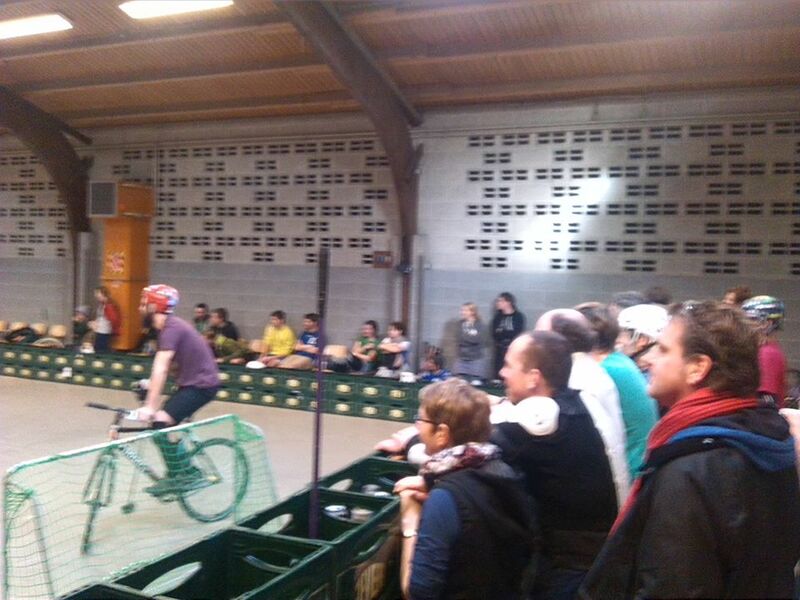 Indoor-Bikepolo on Saturday & Sunday 21./22. Feb 2014. 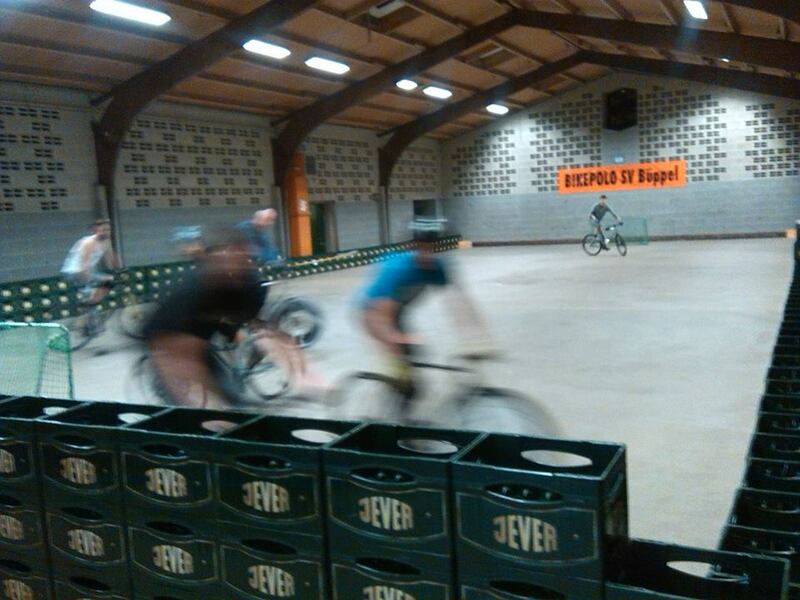 The „Weberei“ has got a hall with concrete ground (perfect smooth surface) wich is about 18 to 38 metres. You have to use white tires if you have rear brakes. There is also a lobby and some common rooms where you can spend time waiting for your next game (playing table soccer or billiard). Smoking inside is not allowed. Fridayevening we got the possibility for some easy pick up´s. We will have some drinks and food. But there are good possibilities to buy everything nearby. Costs for the tournament 10,- euro per person (30,- per team). The idea is, that everybody plays as often as possible and doesn´t have to wait to long. So we want to start as soon as possible on Saturday and play till late at night. Simple plan ;-). Sunday we start a little bit earlier and try to finish till 18.00. Swiss rounds on Saturday and double elim on Sunday.